What a difference a week can make. 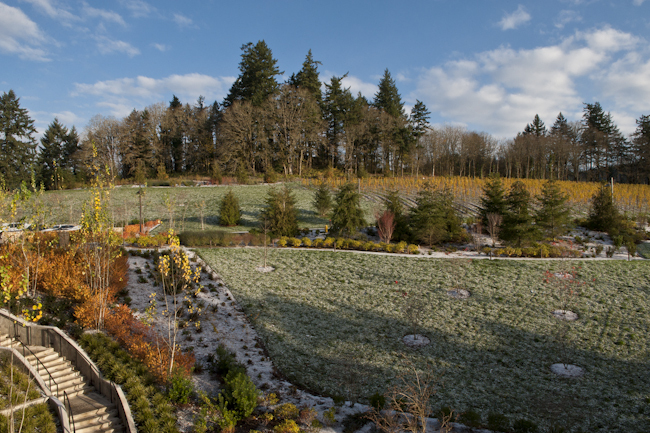 Last Tuesday I was in Napa in 85 degree temps, and this morning I woke at the Allison Inn & Spa to a beautiful dusting of snow contrasted by the golden vineyards. 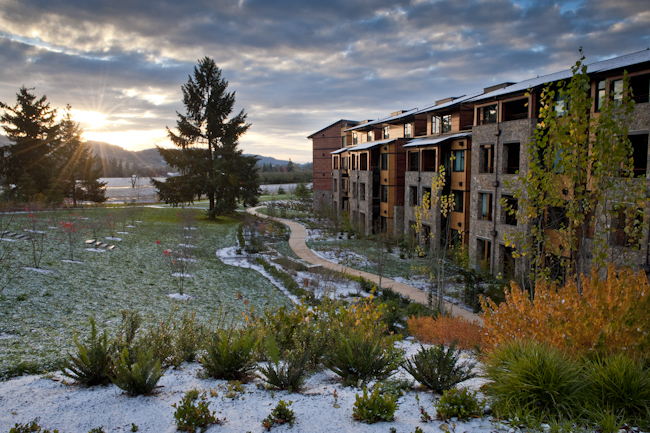 A glorious sunrise at the Allison Inn & Spa with a dusting of snow over fall foliage, Willamette Valley, Oregon. 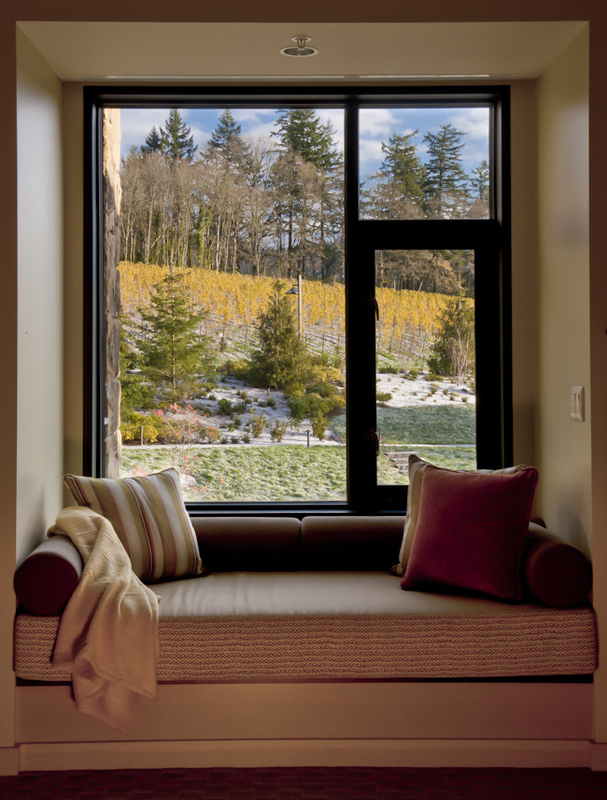 View from my room #307 at the Allison Inn & Spa, a picture perfect vantage from the loveseat overlooking fall vineyards dusted with snow, Willamette Valley, Oregon. View from the balcony of my room #307 at the Allison Inn & Spa, Willamette Valley, Oregon. Sometimes the only way to get the best vantage point for landscapes involves a helicopter flight or waking before dawn and driving an hour to wine country from my home base in Portland. Other times like this morning I’m pampered by staying in a room with a view and enjoying a brisk walk around the the Inn’s garden path to capture these scenes. After finishing my shoot of the Allison Inn rooms today, I’m looking forward to a scrumptous lunch at their renowned Jory restaurant and an indulgent spa suana & steam room session to warm up. Life is good!